To make a Private tasting that reach your event expectations, wine is the perfect excuse to create a relaxing and fun atmosphere where complicities arise among the assistants. A gourmet leisure moment to discover new wines, exquisite flavors and surprising textures.The sommelier moves where you tell us! Imagine ending a long working day enjoying a good wine, an artisanal cheese or a gastronomic game. 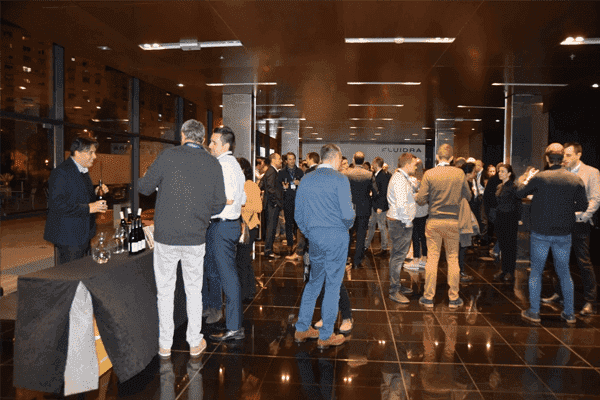 Our tastings and activities are perfect in order to organize a welcoming cocktail, convention networking or as working incentive. Do chocolate and red wine or blue cheese and sweet wine or Iberian ham and cava, pair when we taste both? The correct answer is that they do pair perfectly. We propose the most original and surprising combinations like no one could ever imagine. Good taste makes the difference. Learn and have fun while tasting, betting and compete with your colleagues. The team which has better smell and taste will have a prize! Are you passionate about Wines? Do you want to learn more about Whisky, Rum or Brandy? We offer a wide range of theme tastings with the aim to discover you that kind of wine or spirit you always wondered but never had the opportunity to ask.